This was obviously important enough to be repeated. These verses aren’t speaking about a single synagogue… ALL synagogues are of Satan. Lurking on .w.chan and twitter recently I have found a few things that would, I suspect, be of great interest to many trenchers (related to this ‘article’ and comments). What would be nice; for some here to take some of the information, digest it then provide some further insight beyond the original post (OP) and my research. After all, it the the words of fellow trenchers such as Hatr and a few others that really prompted me to look further into who controls what. Previously, my focus had been of the Banksters, which of course is about money changers. No surprise where that lead. If anyone is interested in a further dialogue, perhaps Henry would be kind enough to provide an email address exchange. I completely trust his judgement regarding who’s email to FWD. 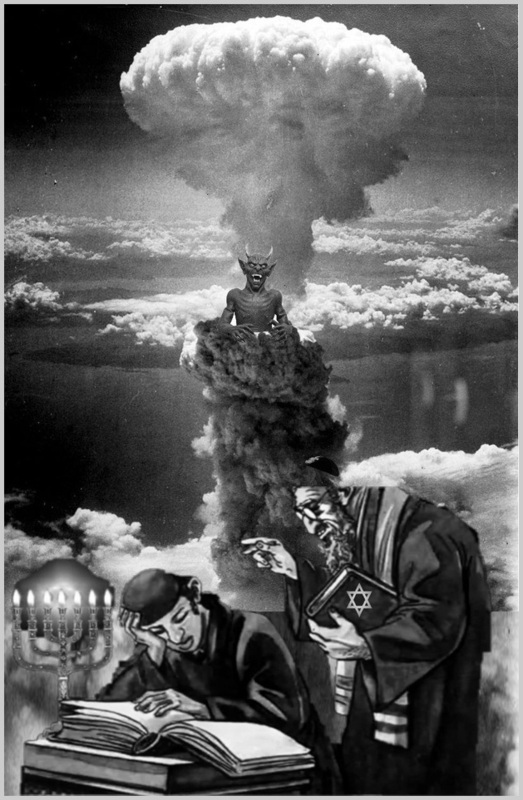 ‘Judaism’s Strange gods’ by Michael Hoffman, and ‘A Greater “Miracle” Than the Lost Ten Tribes Discovered…- the Dead “Six Million” Uncovered’ by Brian Alois Cleraubat. If everyone on the planet knew the information contained in these two books alone, there wouldn’t be a jew left alive by this time next week. Story about symbolism of satan at the Vat, dark state, and finally to reptilian overlords. VERY interesting story for this picture…..Rothschilds left out of the picture, wonder why? Are they represented by the jews?